Using simple tools to fast-forward online marketing has always been very interesting for me. Today I would like to discuss an amazing simple tool I found online which I believe would be able to help online entrepreneurs and web owners alike. 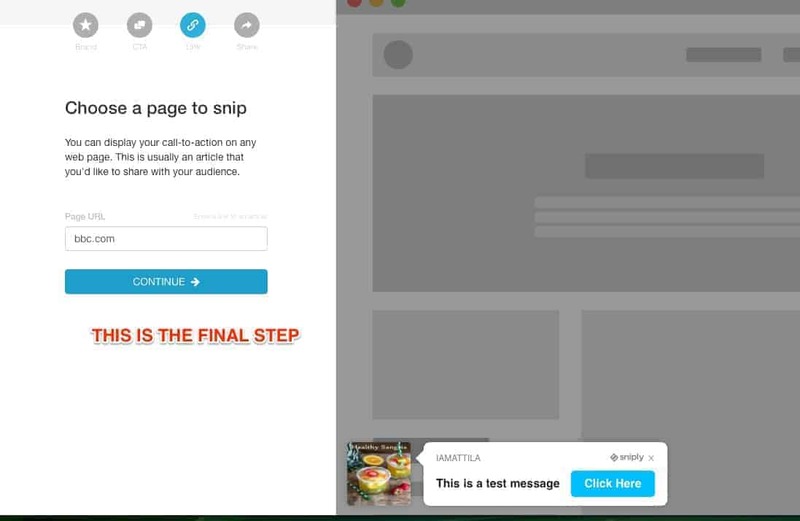 Sniply is an online marketing tool used by independent entrepreneurs to corporations. Having generated over 15 million clicks Sniply has established itself as one of the most successful online marketing tools people can find online. Basically it is a simple tool used for conversion purposes. It works by driving traffic to your website and even downloads to your applications. At first glance it looks like an ordinary URL shortening tool. However, you will eventually see that it is action-packed with wonderful and amazing features. When you share interesting links online, users would naturally click on them. As soon as they are clicked, you would be able to track clicks, conversions as well as bounce rates and time spent on the page by which your content is shared. 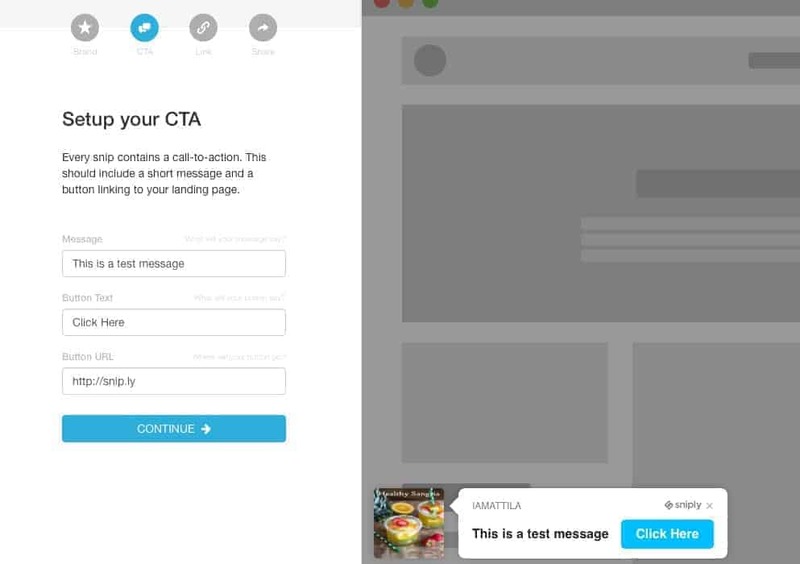 A/B testing tools are made available on your Sniply Dashboard. Based on the data you have, you would be able to optimize your content better to suit your target demographics. You can customize and personalize every link. You can choose from a variety of themes and colors. You can even attach your logo and company name to every link generated. Sign-up for FREE by connecting either your existing facebook account or your twitter account. 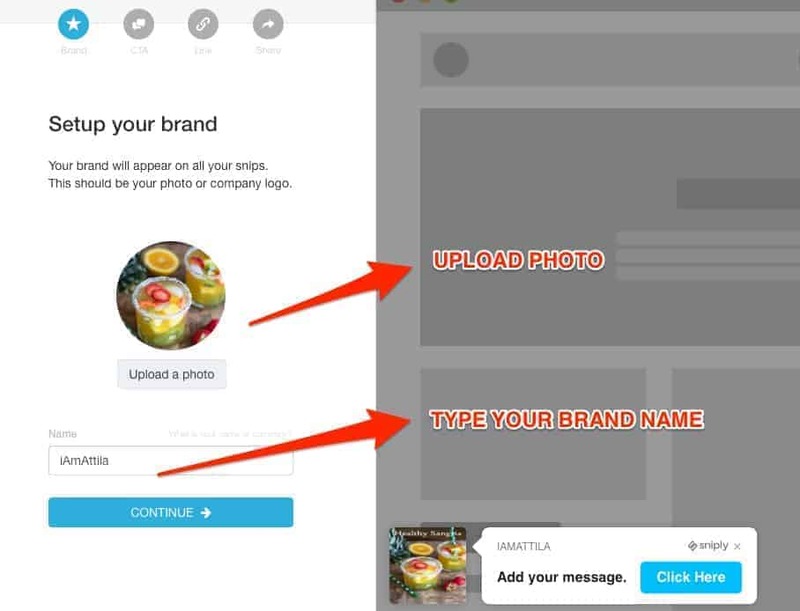 Set-up your brand by uploading your photo and brand name. Start filling in details for your Call-to-Action (CTA). Finally choose a page to snip and you are ready to go. Sniply’s dashboard is also very intuitive to use. You only need to explore a bit to check various reports and analytics alike. Try it now and see for your self.